Limited seats. RSVP Essential. Please RSVP HERE (opens in new window) before 13 November, 2018. Australia is a migrant country, with the bulk of its immigrants coming traditionally from the British Isles and other European countries. Over the last two decades, there has been a marked increase in migrants from Asia, the Middle East and Africa. In 2006, Italian was the first most spoken language other than English (LOTE) in Australia; by 2011 it had fallen to number two. In the 2016 Census, Italian was only the fifth most spoken LOTE, followed by Greek as the sixth and Spanish as the ninth. In the decade to 2016 Mandarin grew by over 170%, and the total number of Chinese speakers now exceeds 927,000. In the list of the top ten most-spoken languages other than English, Arabic is now number two, with 321,728 speakers. It is followed by Vietnamese, Tagalog, Hindi and Punjabi. It is also relevant to note that from 2011 to 2016, the number of Australians who spoke a language other than English at home increased by almost one million, to 4.9 million. Australia, as a rapidly changing culturally diverse nation, strongly supports multilingualism and multiculturalism, with federal and state governments providing comprehensive translation and interpreting services in up to 104 languages and dialects. The Special Broadcasting Service (SBS) – one of Australia's two public broadcasters – focuses on multilingual and multicultural broadcasting for the purpose of enhancing a diverse but inclusive and cohesive society. Traditionally, SBS added English subtitles to programs in LOTE. In the last ten years, however, it began to subtitle in LOTE selected English-language programs that it had commissioned, with the biggest success being the three-part documentary series Once Upon A Time In Cabramatta (2012). Because a focal point of the series was the language barrier between English-speaking children and Vietnamese-speaking parents, the English version and a Vietnamese subtitled version were simulcast on SBS1 and SBS2 respectively. Most programs selected for subtitling in LOTE were SBS commissioned documentaries; the sole exception was an Australian comedy series featuring a Chinese migrant family, which was subtitled into Chinese, Vietnamese and Korean. While this series was very popular with English-speaking audiences, the subtitled versions had only modest success, with the feedback being that the storylines were too familiar to people from those communities. In July 2017 SBS exclusively premiered the critically-acclaimed The Handmaid’s Tale in Australia. This intriguing dystopian drama series attracted a record number of viewers. To enable even more viewers to enjoy the series, SBS decided to subtitle it in Chinese. This is the first time that SBS has subtitled an acquired English-language program in LOTE. The project was carried out in a unique partnership with Western Sydney University, which offers a comprehensive course in audio-visual translation. Dr Jing Han, the author of the initiative who led the project, will speak about the cultural and linguistic challenges encountered in subtitling this highly nuanced and complex drama into Chinese, challenges that are particularly revealed in the series’ range of language characteristics, including colloquial and crude expressions. The fact that Chinese communities in Australia are very diverse because some Chinese speaking people come from mainland China, while others come from Taiwan, Hong Kong, Singapore, Malaysia, Vietnam, Fiji, etc, also poses a special challenge to the translation. Dr Han also subtitled the second season of The Handmaid’s Tale premiered in April 2018 on SBS. By the way, do you know what the most difficult English word to be translated into Chinese is? Dr Han will reveal the answer at the seminar. 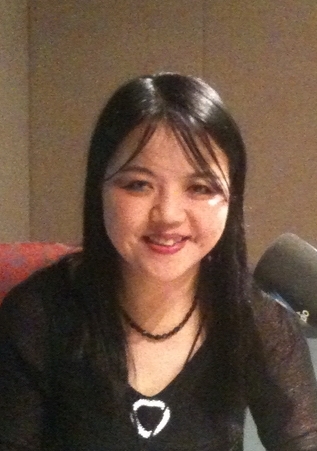 Jing Han received her PhD in English literature from the University of Sydney in 1995. In 1996 she joined one of the two public broadcasters in Australia, SBS TV, in 1996 as Mandarin subtitler. Since 2006 she has been the Chief Subtitler and Head of the SBS Subtitling Department. Over the last 22 years, Dr Han has subtitled over 300 Chinese films including Crouching Tiger, Hidden Dragon, Lust, Caution, Hero, Not One Less, I Am Not Madam Bovary, etc. In the last six years, Jing has been the leading subtitler of the most popular Chinese TV show If You Are The One, which has created a cult following in Australian audiences and set the record of the longest showing non-English series in Australian broadcasting history. Jing has subtitled close to 400 episodes of the show along with other Chinese TV series and films. She has also subtitled The Handmaid’s Tale Season One and Season Two into Chinese for Australian audiences. As an internationally renowned expert in subtitling and translating Chinese culture, Dr Han has been frequently invited to give talks at universities in mainland China, Taiwan as well in Australia. In 2017, to acknowledge her outstanding contributions to the cultural exchange between Australia and China, she was selected by the Australian government to be included in the 45 Stories to mark the 45th anniversary of Australia and China diplomatic relation. Dr Han joined Western Sydney University in 2006 and is Senior Lecturer and Associate Dean for International in School of Humanities and Communication Arts. She has taught a range of translation and interpreting courses including Audiovisual Translation and Literary Translation for postgraduates. She is also a PhD supervisor, currently supervising three PhD students. Dr Han is the English translator of a modern Chinese classic Educated Youth by multi-award winning author Ye Xin, published by Giramondo in 2016. She is also well known and highly sought for live interpreting for significant cultural events in Australia such as Sydney Writers Festival.